Pikelets (mini pancakes) are on regular rotation for morning and afternoon tea in our home. They are quick to make from scratch, free from nasties, and my girls will eat them with all sorts of different toppings. They’re just easy! Plus, the girls love to help make them too. Immy can pretty much make them herself now, obviously with supervision when it comes to the cooking process. 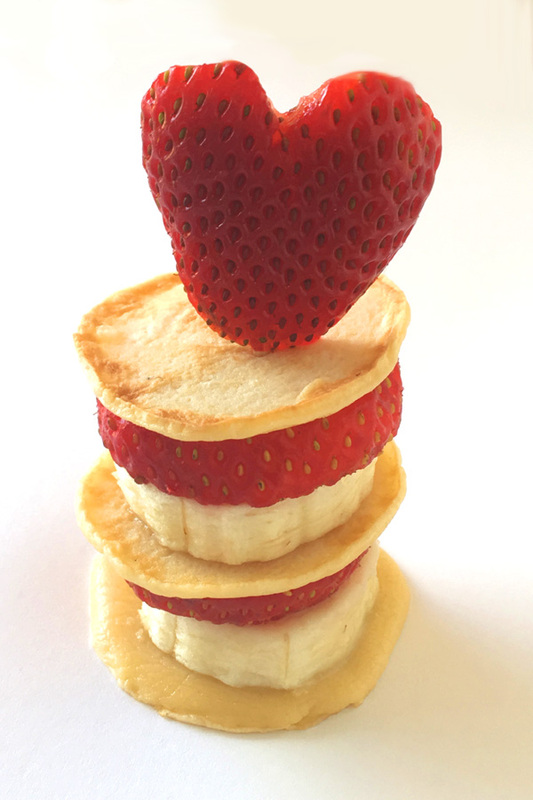 Every now and then, for something different we make mini pikelets (tiny, mini pancakes) as they are perfect for creating cute little fruit and pancakes stacks. Fun for a special afternoon tea, birthday party or even a baby shower. 1. Whisk eggs, flour and milk together until smooth. You want the mixture to be reasonably thick, not too runny, add more flour if necessary. 2. Place a non stick frypan over a medium heat. Spray with cooking oil and leave to warm through. 3. Spoon single tablespoons of mixture into the pre-heated frypan. Cook for 1/2 a minute or until bubbles appear on the top. Flip with a plastic spatula and cook for a further minute until golden. 4. Remove and allow to cool. Slice bananas into rounds. Slice strawberries into rounds. 6. 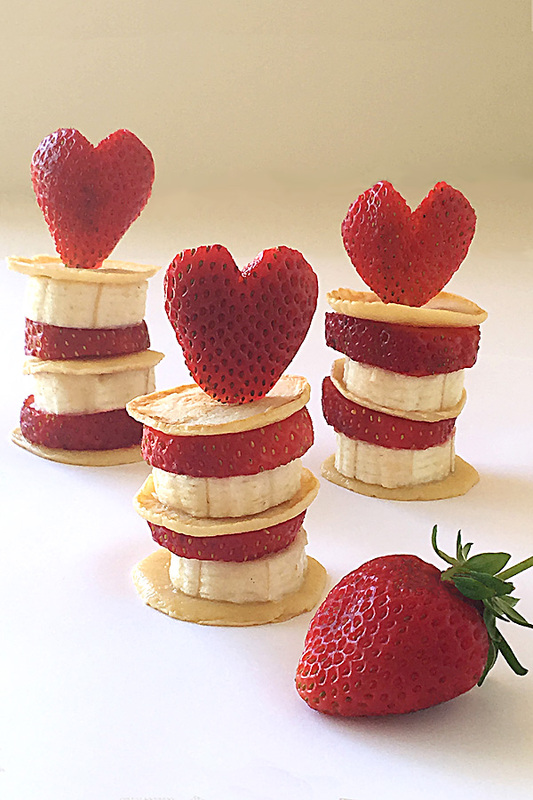 If you wish, decorate the top of the stack with a heart cut from a strawberry. Do your children enjoy pikelets? These look delicious and just perfect for afternoon snacks.